“Unsighted” was initially created as an experimental short film in direct response to race riots in Baltimore, MD and Ferguson, MO — both the result of the deaths of unarmed black men in 2015. 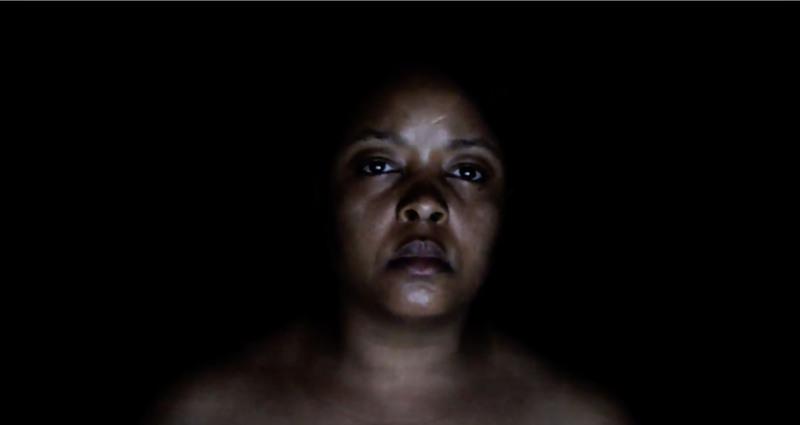 In the film, which exemplifies the evolution of Andrea’s work into soundscapes and moving photography, she created a soundscape sourced from audio clips of pundits, civil rights activists, educators and newscasters to comment on how black people internalize a white supremacist culture. Unlike her previous works, Reed is the subject of “Unsighted”. She confronts the viewer as she watches clips of riots on a computer screen. At first glance, this piece appears to be a self-portrait, but as the film continues, Reed becomes a representative of the black community – illustrating the slow, steady deterioration of a soul bludgeoned by circumstance. Andrea Ellen Reed (USA, 1980) is a multimedia artist that specializes in photography and film. Her work is centered around the lives of Black Americans. Reed began shooting during her undergraduate studies at Howard University. She continued her studies at the Academy of Art University where she received her MFA in Photography. Over the past fourteen years, the focus of her work has been to debunk the stereotypical myths about the Black American community. Her work has been exhibited both nationally and internationally and been awarded with the Visionary Award from the Tim Hetherington Trust in 2017.